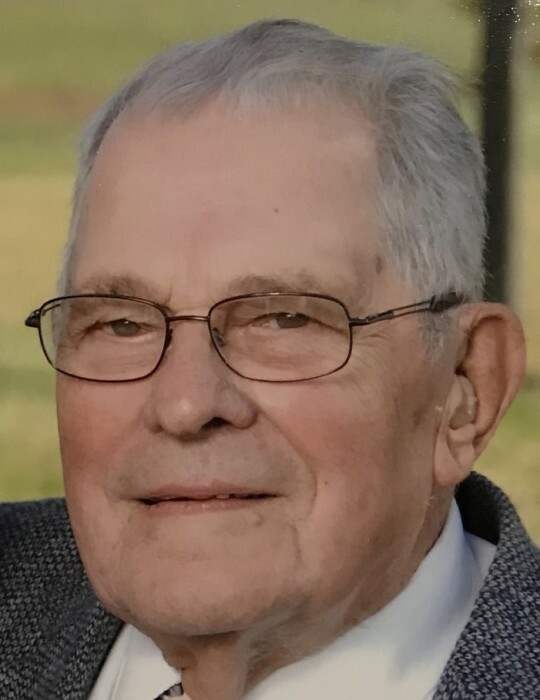 Walter Hudepohl, 94 years old, of Milan passed away Monday, February 4, 2019 at his home with family by his side. Walter was born Monday, October 13, 1924 in Mt. Healthy, Ohio; the son of Herman and Clara (Wurzelbacher) Hudepohl. He married Margaret “Peggy” Duffy on May 17, 1947 and she preceded him in death July 8, 2017. He was a devout member of St. Charles Catholic Church, a contractor and founder of Hudepohl Construction Company, and was awarded Conservation Farmer of the year in 1984. His greatest passion was his wife and family. Walter is survived by children: Vincent (Sylvia) Hudepohl; Jean (Bill) Hicks; Rosemary (David) Carter; John (Hollis) Hudepohl; Theresa (Victor) Ferneding: Jenny (Chuck) Day; Thomas (Kathi) Hudepohl; Nancy (Dan) Denhart; Lois (Greg) Bogenschutz Kremer; Walter (Anne) Hudepohl; Virginia (Robert) Sinkhorn; brothers: Art (Rita) Hudepohl and David (Janie) Hudepohl; sister: Mary McIntosh; sister-in-law: Nancy Hudepohl; brother-in-law: Howard Niehaus. He was preceded in death by his parents, his wife, sisters: Rita Niehaus, Ann Griesser and Ed Griesser (brother in law) and brother: Herman Hudepohl. He had over 100 grandchildren and great-grandchildren. Join us for the rosary at 9:30 AM and Mass of Christian Burial at 10:00 AM on Saturday February 9, 2019 at St. Nicholas Church, 6461 East St. Nicholas Drive, Sunman, IN 47041. Burial will follow in St. Charles Cemetery in Milan. Family will receive guests at Walter’s Celebration of Life reception following the burial 12 to 3 PM at St. Charles Catholic Church Hall, 201 W. Ripley Street, Milan IN 47031. Memorials can be made to the St. Charles Endowment Fund, St. Charles Right to Life, (address above) or charity of choice. Go to www.lawscarrmoore.com to leave an online condolence message for the family. Laws-Carr-Moore Funeral Home, Milan IN is entrusted with arrangements. (812) 654-2141. Box 243 Milan, IN 47031.